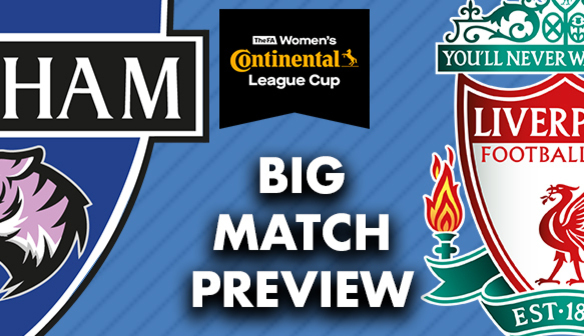 Tickets are available online at durham.fawsl.com or at the ground for no increase in price. 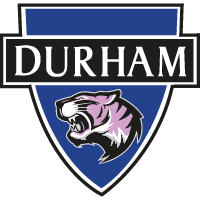 Durham Women are back on home soil this weekend as they welcome top tier Liverpool to New Ferens Park. Fresh off back-to-back victories over Everton and Sheffield United, the Wildcats will be full of confidence ahead of what is sure to be a testing afternoon. An ever-present in the top flight since the inception of the FA Women's Super League, Liverpool have become a real force in the women's game. Back-to-back titles in 2013 and 2014 solidified the Reds' position at the top of the game and they have continued to impress in the top tier. New under the guidance of Neil Redfearn, Liverpool will be keen to improve on a 5-0 defeat to Arsenal in their last outing. And they certainly have the quality to do so, with Niamh Fahey a strong presence at the back and Courtney Sweetman-Kirk and Christie Murray providing plenty of firepower up top. The two teams actually met during pre-season, where Liverpool ran out 3-0 winners thanks to goals from Christie Murray, Laura Coombs and Jess Clarke. Our last competitive meeting saw the game end in a 0-0 draw in the same competition last season, with the Reds then triumphant on penalties. Speaking in his programme notes, manager Lee Sanders said: “They’ve got some quality players in their squad and we’ve watched their game against Arsenal. "We’ll respect that, but these are fantastic games for us to play prior to really getting into the league. That’s what we’ll see it as. "We’ll respect Liverpool but won’t fear them, and go in and play how we want to play and build on what we’ve been doing." Kick-off is at midday on Sunday 16th September, with the turnstiles open from 11am. To avoid long queues on the day, we advise that fans buy their tickets online HERE. Tickets will be available on the day of the game from the turnstiles for no increase in price. Our new-look match day programme is available this weekend and is packed full of content. For just £2 you'll be able to hear the thoughts of Lee Sanders and Sarah Wilson, find out all about Liverpool Women, take a glance around the rest of the league and enjoy some fun child-specific content! And there's much, much more inside too! The Extra Time Cafe Bar is now open at New Ferens Park and will be serving hot and cold drinks, alcohol and a variety of snacks before the game and at half-time. This is in addition to our usual offering of refreshments, so there's something to suit everyone's taste! For full details on getting to the game, view our Fans' Travel Guide. ARE YOU A FIRST TIME FAN? Is this your first time visiting New Ferens Park? Check out our Fans Guide for all you need to know! From Travel to Tickets and What's On at the game, our guide has you covered! HOW MUCH WILL MY DAY OUT COST ME? Want to know how much your full match day at New Ferens Park will cost? You can price up admission, food, merchandise and parking HERE. 11:00am - Turnstiles open, why not grab a refreshment from the Extra Time Cafe Bar? 11:20am - The players will be warming-up, and we'll have the team news for you. 12:45pm - Half-time! Our match day host will be providing entertainment during the interval. 1:45pm - Full-time! Make sure you make time to meet your favourite player and grab a selfie or autograph! Durham Hospitals Radio will be providing live radio commentary of this game, available both inside and outside the ground, which you can tune into HERE.